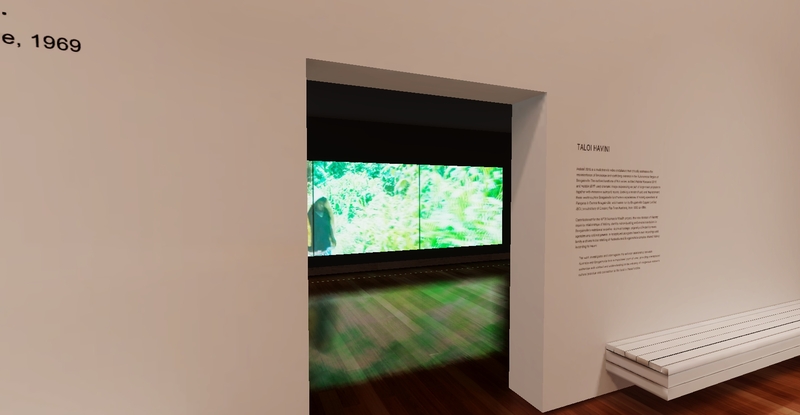 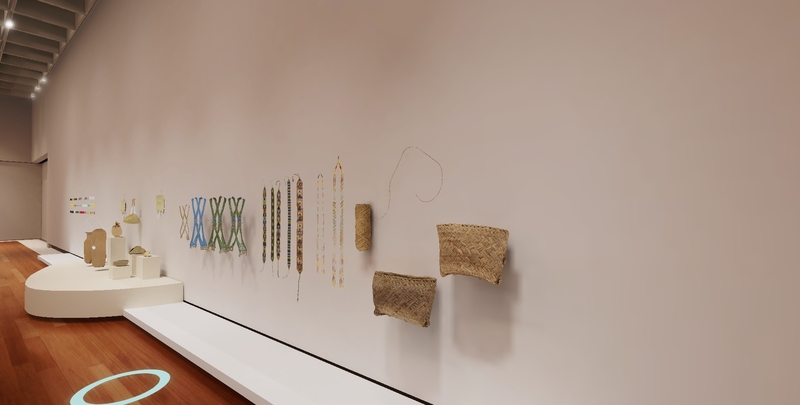 Ortelia Interactive has collaborated with the Queensland Art Gallery | Gallery of Modern Art (QAGOMA) to deliver the Women’s Wealth exhibition as a 3D interactive online exhibition. 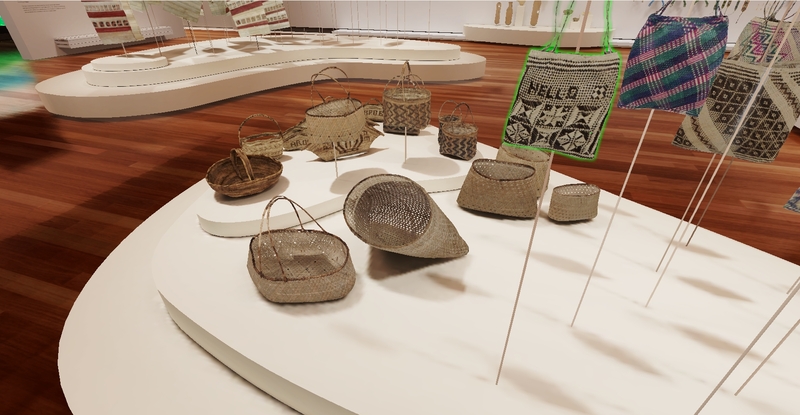 The Women’s Wealth exhibition was presented as part ‘The 9th Asia Pacific Triennial of Contemporary Art’ (APT9) in Brisbane from 24 November 2018 to 14 July 2019. 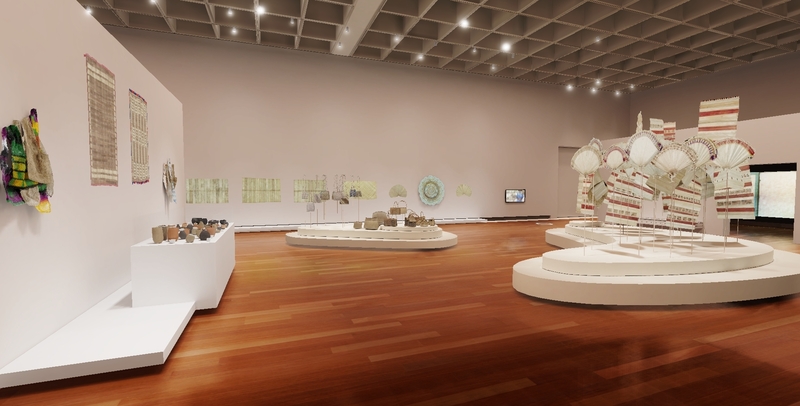 The Asia Pacific Triennial of Contemporary Art (APT) is an internationally recognised exhibition series hosted by the Queensland Art Gallery | Gallery of Modern Art. 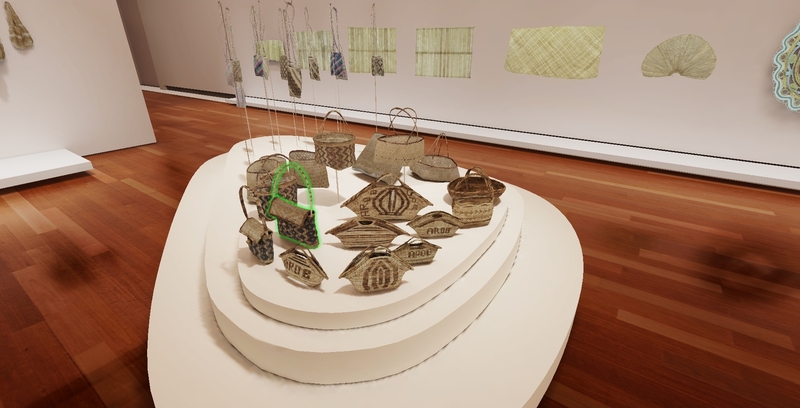 The Women’s Wealth project, commissioned specifically for APT9, ‘engages with the ongoing importance and richness of women’s creativity within the predominantly matrilineal societies of the Autonomous Region of Bougainville and nearby provinces of the Solomon Islands.‘ The project title is drawn from the 1970’s anthropological debate of the value of women’s material cultural practices in Papua New Guinea. 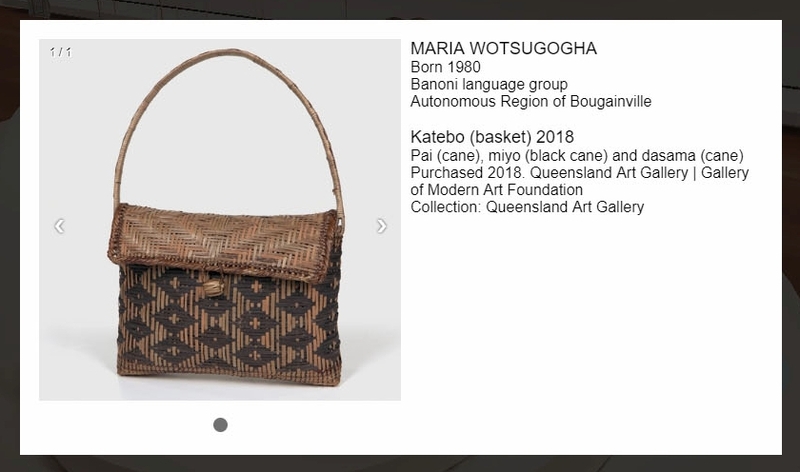 The project celebrates women’s material culture in Bougainville and nearby Choiseul and Shortlands Islands. 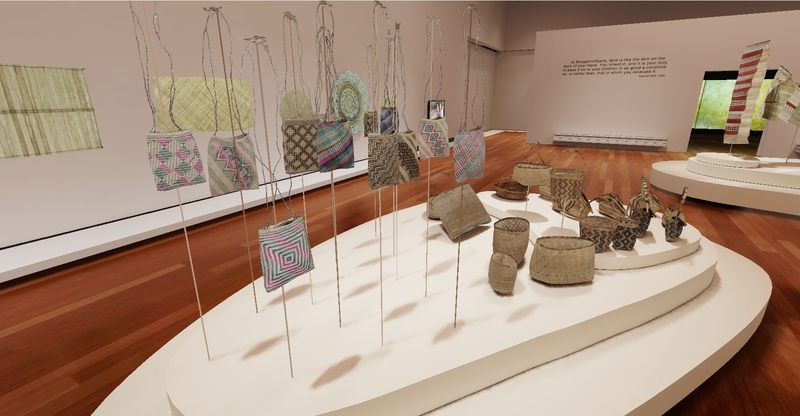 For a detailed description of the exhibition and the project visit the Women’s Wealth website. 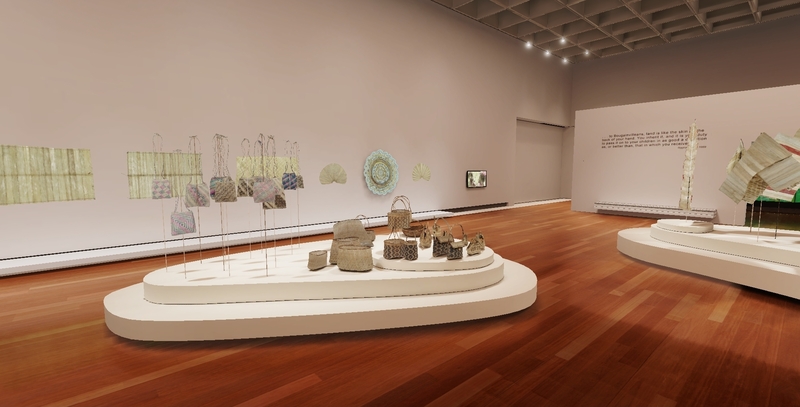 Each object in the exhibition is interactive, allowing didactic and additional information to be displayed at the click of a mouse button. 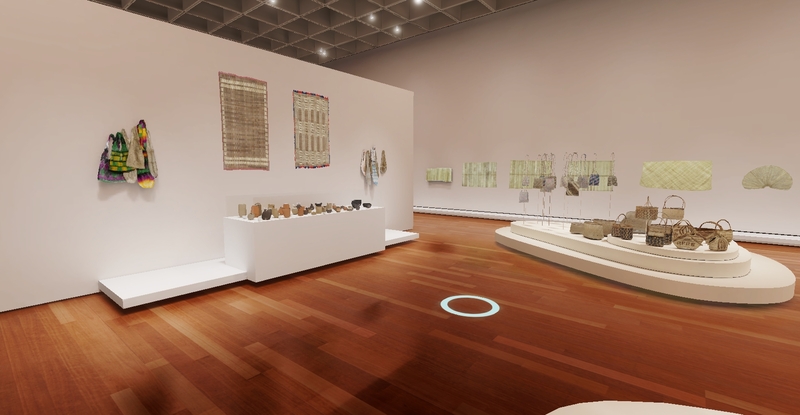 This project is a significant advancement in the application of affordable 3D interactive technology for the Gallery and Museum sector. 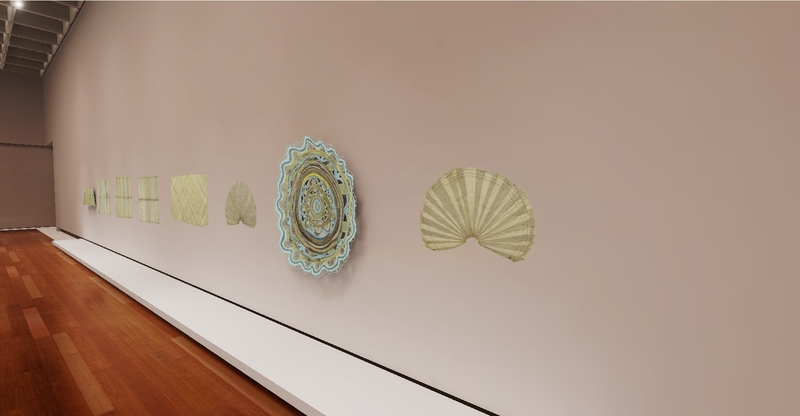 It demonstrates the ability to deliver a large volume of high quality 3D content efficiently and effectively within a robust framework. 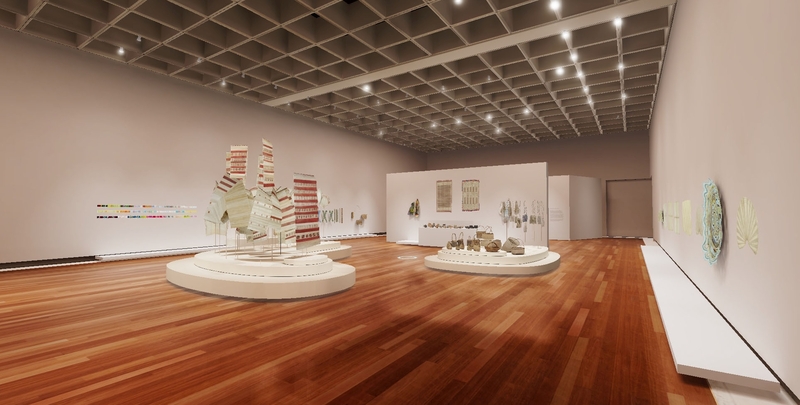 The combination of a traditional gallery experience; easy navigation in 3D environments; and interactivity, makes this an engaging and compelling user experience. 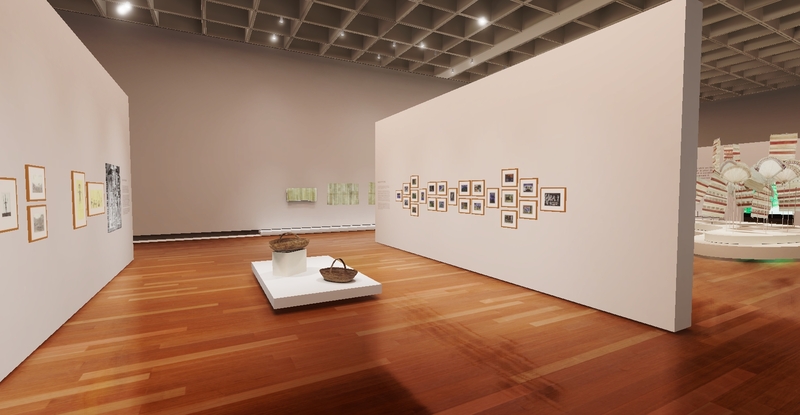 The digital environment provides a portal for additional artwork and artist information in the form of photography, video and text. 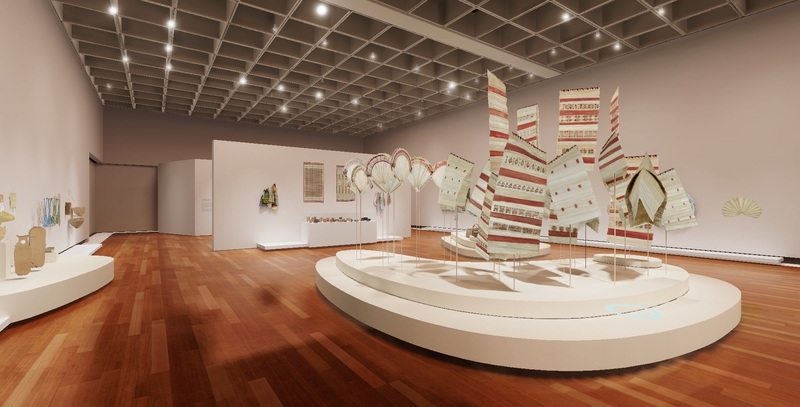 This interactive exhibition serves as an accurate archival record and demonstrates the effectiveness of such environments in making institutional collections more accessible to visitors and the broader public.